This entry was posted on Wednesday, August 10th, 2011 at 3:04 pm and is filed under Uncategorized. You can follow any responses to this entry through the RSS 2.0 feed. You can leave a response, or trackback from your own site. This post will have a special place in my heart for various reasons…. You are absolutely right Rajeev, but you must make a promise that you will not elope from this forum again!! Read the posts that you have missed out on, make notes of them in your daily diary and sit down quietly in your room for just 10 mins twice a day daily to practice silence. Silence slays our bad karmas, meditation follows. In meditation you shall find complete peace. You are a blessed child that you have found all your answers on this post. So read on till you feel that the words have touched your sub consciousness and then your Spirit. 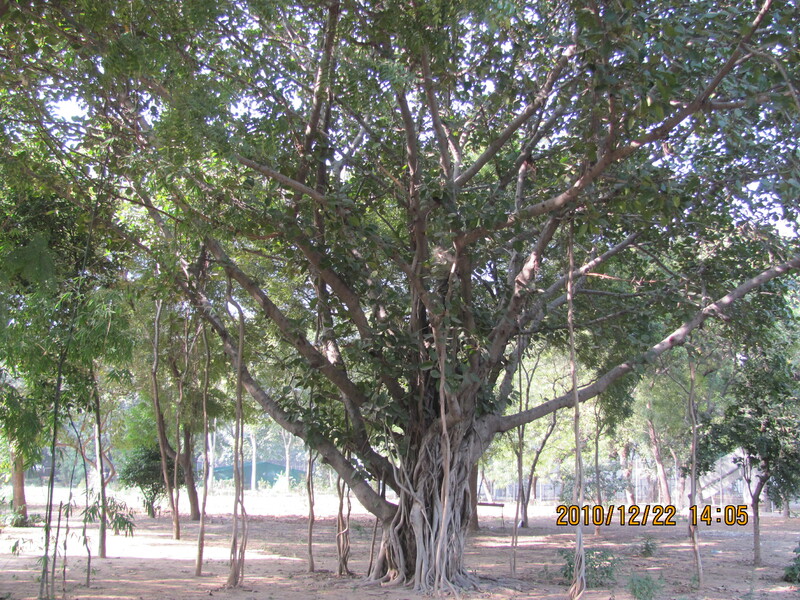 Does that Banyan Tree exist in our Ashram campus? If it does, where exactly does it stand? I would like to visit it sometime. There’s an inherent doubt I have developed over the time which has taken me a bit away from the path of spirituality. Something keeps telling me that attaining 100 percent spirituality is not possible, because it is extremely tough to attain full control of mind. I do meditate or relax in a calm place but at a later instant lose my mind to some alteration in thought process, clouded with non-creative thoughts. This has been a habit and though I have tried to break from the circle somehow I fall into its vicious trap. And its pull is so strong that I end up getting all the more disillusioned. This has put me in extremely awkward situations where I have lost my pre-attained self-confidence. Why I break from the thought of spiritual growth, if I can initiate it at some point, why the mind deviates. And why does the mind find an easier route in the deviation and keeps sapping away all the energy. This sometimes can even cause souring of relationships with others or with my own self. It did not know how to rest! And wonders now where was this love hidden after all? And thus make this world so loving and tranquil!! Dear Stewart, heartened to hear from you after such a long time. With God’s grace you will get more courage and strength. Stay with God and remember you are never alone. Om Namaha Shivaya. Shahid, Babaji is telling us through these paras in the post, that the current high tide in our lives is because of our negative karmic pattern. But he is also promising us that I will deliver you, your sins if you have faith in me. So redeem yourselves first from your past wrongdoings. Meditate, sit in silence and have faith in him.Help will come from him and we should recognize that divine help coming because divine workings are very silent. Our mind should be calm even if the going is rough. This too shall pass away. Now bring your mind on the photos of this post. There is an anology here. 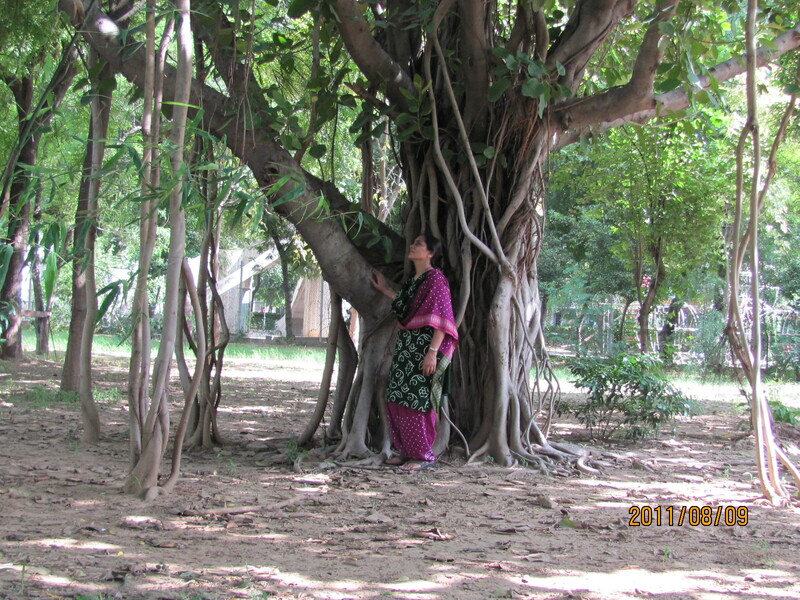 In the first picture, the thick roots of the Banyan Tree denote our life problems which we all have to face. If you face the situation( I am wrapping my arm around the hanging roots) and smile, God will smile at us. In the third picture, I am standing in a thick jungle of hanging roots but my head is looking up. This denotes that even if the problems are too severe, keep your gaze on the sky, the abode of the Lord and the Lord shall respond. Now the beautiful enchanting bell shaped flower which was flourishing in the ashram in August is called Aparajita, A in Hindi means ‘no’, parajita means defeat- which means a woman who cannot be defeated. The gender of the flower is feminine in this case.This flower is offered abundantly to Ma Kali as observed by me in many Kali temples and Durga Poojas. I purposely uploaded this photo which I took in Ashram silently keeping its meaning to myself. Each photo has a meaning here, dear child. 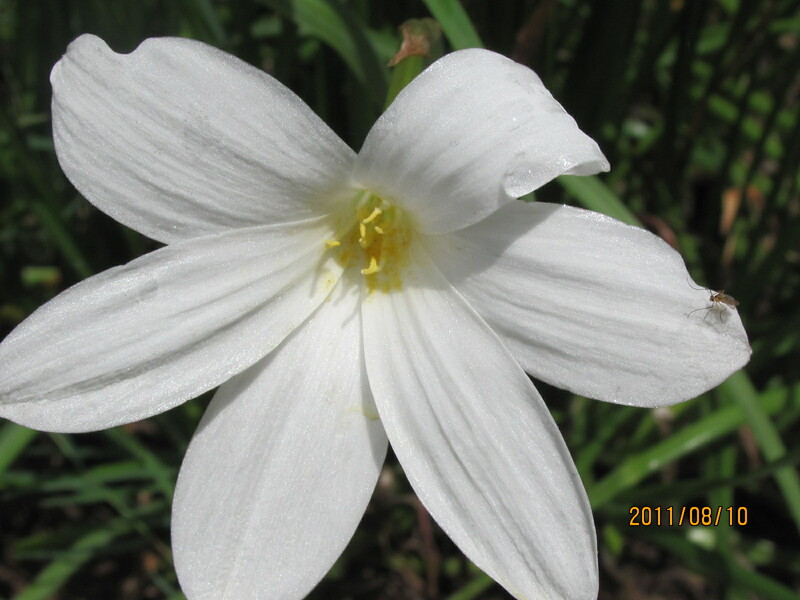 Now let’s come to the last photo-white lily. White denotes peace and tranquility. So inspite of overwhelming problems, don’t ever allow defeat to overcome you, conquer the situation and stay calm and tranquil….Peace is very essential for us. I remember what Sri Aurobindo told you some years back- Our not so good times are our own and our good times for others. And also what Shaligram Swami told me through you many years earlier – tell everything you want to say to Sarika, she talks to me. I now firmly believe that it is impossible to traverse our time without help from Deva’s and Mother. Dear Atul, you have amazed me by recalling the golden line of Sri Aurobindo which he told me in my times of distress-our not so good times are our own and our good times for others.Thank you so very much for making me remember Sri Aurobindoji today. They all are so benevolent and gracious and are always bestowing such holy things on us every time. And yes, how can we ever overlook all the kindness, pure love and infinite sympathy that came from Swami Shri Dayananda Shaligram of Ganeshpuri? His most precious gift has been the ability that he empowered me with- to communicate with him. Who could have given us such precious things of life? How can we ever return the gratitude we have for our revered Godly saints in our lives? Never. Had they all not enlightened us, given their strength to overcome the tides of life, to solve the mystery of life, we would never have been able to see so much stabilty, calmness, contentment and assurance in every situation of life. They all give us the virtue of fearlessness or else this sansara is a place of deceit, booby trap and never ending problems. Koti, koti pranam….. Thank you Sarikaji for explaining the meaning within each picture in this post. Boy, am I glad you wrote all this and it’s come out for all of us to read. 1. 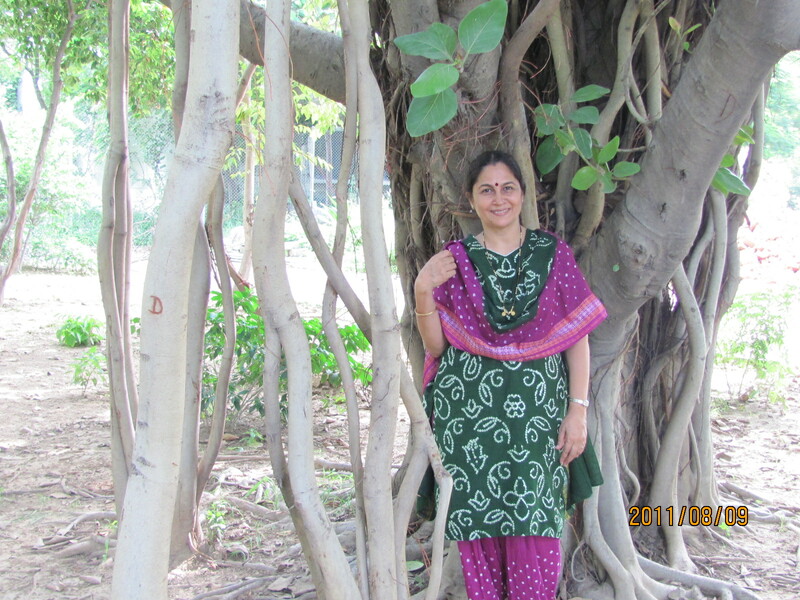 In the first picture, the thick roots of the Banyan Tree denote our life problems which we all have to face. If you face the situation ( I am wrapping my arm around the hanging roots) and smile, God will smile at us. 2. In the third picture, I am standing in a thick jungle of hanging roots but my head is looking up. This denotes that even if the problems are too severe, keep your gaze on the sky, the abode of the Lord and the Lord shall respond. 3. 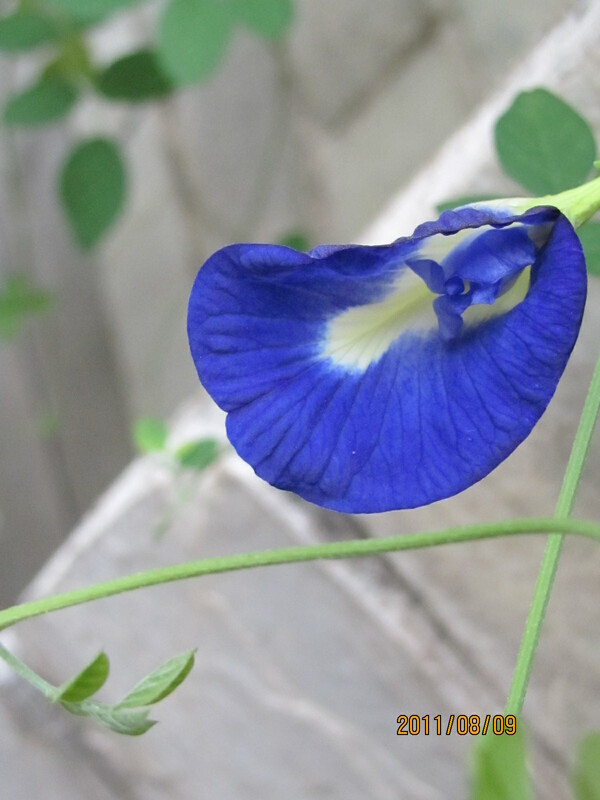 Now the beautiful enchanting bell shaped flower which was flourishing in the ashram in August is called Aparajita, A in Hindi means ‘no’, parajita means defeat- which means a woman who cannot be defeated. The gender of the flower is feminine in this case.This flower is offered abundantly to Ma Kali as observed by me in many Kali temples and Durga Poojas. 4. Now let’s come to the last photo-white lily. White denotes peace and tranquility. So inspite of overwhelming problems, don’t ever allow defeat to overcome you, conquer the situation and stay calm and tranquil….Peace is very essential for us. While I was strolling under this Tree and otherwise also, when I am under the canopy of any Banyan tree, somehow I always reaffirm to myself-have nerves of steel. The thick roots that hang from the upper portion of Banyan downwards are so full of energy, power and might and I am always inspired by them, I am recharged. They also denote our nerves in the cerebrum, the jata of a yogi, of Shiva. Anyway you look at it, we have so much to learn from nature.So this is another metaphor. And if the going is tough, you should be tougher because with the passing of time, things improve with God’s kind grace, lean times wither and wane finally. But in between, don’t forget our sweet Lord and kind Guru. The rough path becomes so much easier and lighter with their graciousness and mercy. thanks for this wonderful post.I want to meditate more and more.could you please pray for me? thank you for all that you have done for me !!! 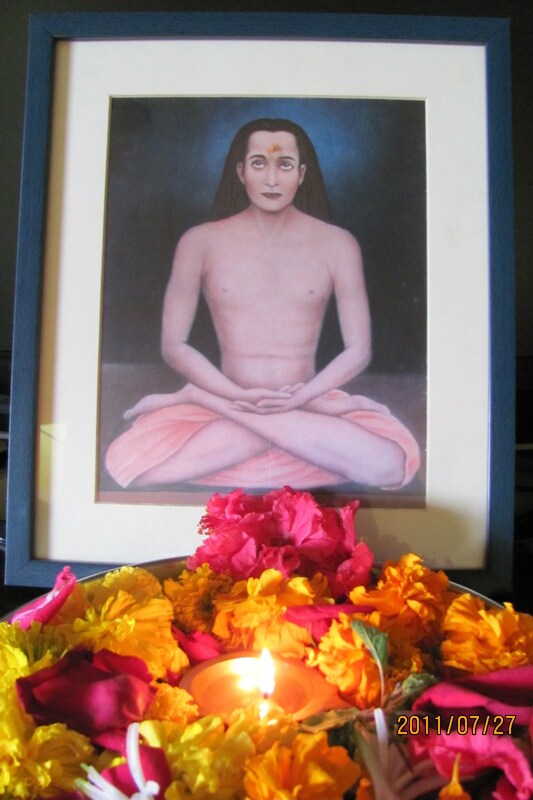 pranam to param guru sri babaji and ma. May guru bless us all, may we able to find peace with in always as guru said. dear ma, thanks for this entire post for explaining the important lesson. Such compassion and so much unconditional love!!! Thank you my Babaji and Ma!!! •	A good seeker will maintain his peace of mind because he is certain that no matter what sort of difficulty he is facing, his guru will always be by his side, no matter what. •	Although in special cases and particular times, the guru will remain silent because he will set aside some time for you when the karmic pattern of the concerned person is such that he must suffer for the past misdeeds. The guru allows his disciple to suffer little bit because he is teaching him silently to learn from his past mistakes. •	As soon as the disciple accepts his mistakes and regrets his bad deeds, the guru will send you the message that from now onwards, lead a pious and peaceful life. •	Please know that I never leave my children, no matter what sins they have committed. It is up to you how soon you want to realize and which next lesson you wish to take from me. •	My spiritual guidance and help will reach you through this blog, I speak to you and the readers can connect with me through the regular entries here. All the answers will be received by them through this medium and they should hasten up their recovery and speed as fast as they can. •	I am those strong roots by which you should hold tightly in order for me to nourish you. •	Those of you who have firm faith in me will realize that permanent peace and sustainable bliss is only possible when we clear our past baggage of bad karmas. Until then, stay connected to Sarika, tell her about your dilemmas she will answer to all your personal as well as family problems and help you to withstand the difficult period. •	Endure and clear up whatever you have accumulated as karmic baggage and receive divine peace and bliss from me. I shall never let you down. •	My blessings are with one and all and I hear even the most faint whisper of my devotee; I send immediate respite to them. Receive me well with all your attention and I shall never dishearten you. •	Pray to God day and night to alleviate you from the sorrowful state to the state of enduring peace. Dear Farha you are really picking up the most useful points for a seeker to get over the mountain of past karmas. It is possible for the Divine master to help you in overcoming the hard and testing times. You too can do it. So proud of you my dear Farha. Be at it. May God bless you everyday. Yours loving Ma. Dearest Ma, Thank you so much. I read this post at one of the weakest moments and it gave me so much solace and strength! Dear Babaji has such a magnanimous loving heart and he thinks so much for his devotees. So much guidance here on how to withstand and overcome the baggage of karma. The love of the Masters is really inconceivable!! It is up to us how much we can surrender to their grace. This is a beautiful post. It has given me insights that I really needed at this point in my life. I hope that I’m able to hold on to this wisdom during this rough time. I bow down to you dear Sarika ji and all spiritual masters sending us words of wisdom through this blog. I am so blessed to have come in contact with this family. I pray to god that we are able to do justice to the time and effort that you are investing in us. With blessing comes responsibility. Thank you Aditi for commenting here and by doing so redirecting me to read this beautiful post on this blessed Monday. Thank you Babaji and Ma. 🙏🏻 Heartfelt Pranaams.